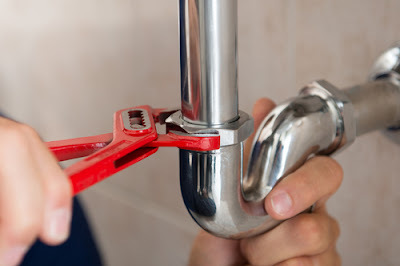 Most homeowners are familiarized with common house plumbing problems. This is due to the many instances that they have to repair small problems like clogged drains which might turn catastrophic if not attended to in time. Although some plumbing problems might be too sophisticated that only an experienced plumber can help, many of need no professional help. Actually, it is an age when do-it-yourself is the expected solution to your issues. Below are some of the common house plumbing problems and their solutions. After a certain period of time, you might notice either a gradual or drastic reduction in water pressure. This is evident after turning on your faucet or shower head and all that pour out is a faint trickle. If the low water pressure was noticed some period before, it might be due to a clogged aerator. Water flowing through the pipes contains dissolved minerals which deposit on the inner surface of an aerator. Such mineral deposits include that of calcium. Once the deposits pile up, water gets a flow hindrance leading to a low pressure. A common solution is to have the aerator cleaned. This can be done by removing the aerator and having it freed from any debris and mineral deposit whose build up is evident. However, if the low water pressure is drastic, in that no signs were noticed before, definitely it is due to a break in a main pipe. Such a break can be either repaired or dealt with by having the entire main section replaced. However, to do this efficiently, one has to have handy plumbing tools and a little bit of knowledge on how to use them. Save hundred of dollars by fixing your water pressure alone. Sinks run down water on a daily basis. Some of them drain dirty water that might have debris and hair tangles. An instance is washroom sinks which drain dirty water that once in a while contains a lot of hair. Not only that but also a kitchen sink drains water full of food particles some of them so large that will literally clog the drains. It might either be a complete or partial clog depending on the usage. Depending on the urge to fix a slow draining sink, there are both temporary and permanent solutions. As for the temporary, you can use a plunger which works by dislodging clogs using air pressure. However, a plunger is not that efficient. Second, you can opt for commercial drain cleaners which act as clog removers. Though they are efficient, some of their chemical composition is harmful to some pipes inner surfaces. As for permanent solutions, you can install a drain screen that will hold back any dirt or debris from passing through. Nothing is more frustrating than a slow draining bathtub. Nobody likes the sight of dirty water draining slowly leaving scum on the tub wall and drain lining. Actually, this is among the top plumbing problems that has seen many tub owners ditch them for normal shower heads. More often, a tub will drain slowly due to a clog whose greater percentage is hair. Such hair clog does not form in a day but slowly accumulates over time. It will accumulate then become a sticky mess after getting glued together by bathing soap or any other bathing chemical used. Common solution for a slow draining tub is clearing the drain from any hair clog or debris. To do this, you have to own a Zip-it tool that aids in clearing the drain. Moreover, you might require a pair of handy needle nose pliers that work efficiently in reaching down the drain and clipping off any build up or clog. If your tub has a stopper, consider removing it off for cleaning before putting it back. To be noted is that, before you repair any tub drain, you should first identify the problem and list the tools that best solve it. A running toilet can be costly considering it can water gallon of water daily which reflect on your water bill at the end of the month or next billing day. For a toilet to have running issues, one of its parts must either be faulty or completely damaged. 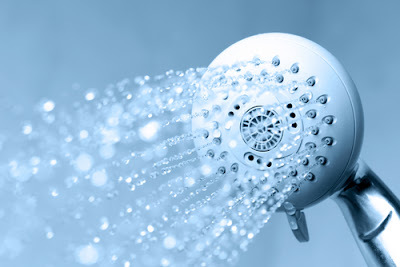 Among the most common parts to get faulty with time are flappers, flush valves and fill valves. Many a time, a toilet runs because a flapper is worn out and no loner fits in properly leading to an imbalanced float whose effect is extended to the fill tubes. Sometimes a running toilet might be so bad that it can be identified easily by our eyes but at times its different. It can be silent in that no shouting effects are noticeable but a high amount of water gets drained daily. To spot a silent running toilet, consider putting a food color in your holding tank then wait for a few minutes and check if color traces can be seen in the bowl. Solution to a running toilet is by replacing worn out parts. Such parts can be replaced by following their user manual so they can be fixed without hiring a professional plumber. Not once or twice do homeowners find a puddle of water under their sinks or along the pipe. This is actually catastrophic to any home since it can damage not only the house finish but also structural foundation. Common causes to leaky pipes are usually loose joints an high water pressure. For loose joints, they can be repaired temporarily while permanent solutions are being sought after. Some of the temporary solutions include the use of joint fillers or common fitting compounds. A permanent solution is always doing a joint replacement. Even if the joint is a U-joint, it can be replaced by having leak tapes and rubber sheets tied round during replacement. 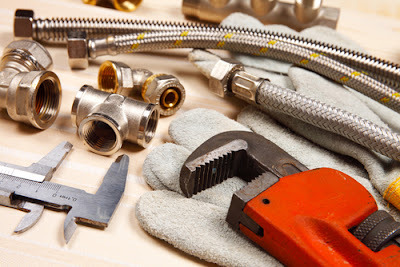 Do not let common house plumbing problem be a nuisance nor damaging to your house. Tackle every problem with the above solutions and you will be surprised how easy you can manage to handle plumbing issues.